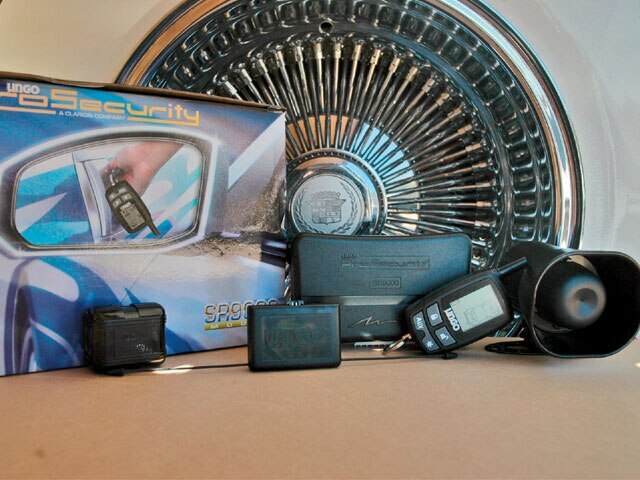 Lock up a state of the art security system for street riders. For the average show car, security is not even a consideration, but street riders know that if you’re going to drive it, you had better protect it. 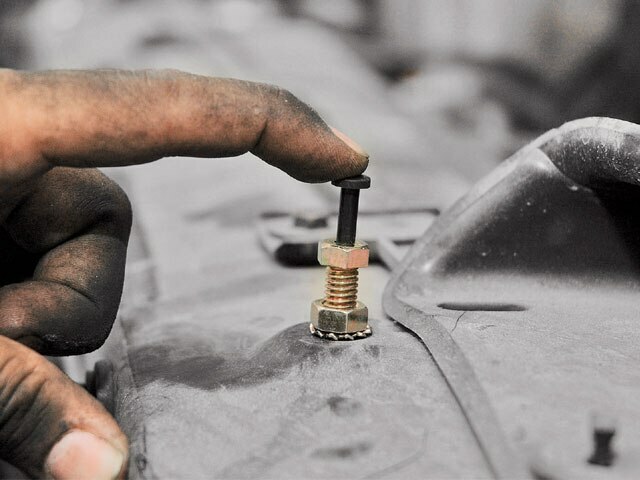 Over the last few years, there have been great strides in knowing what’s going on with your car while you’re away from it. Two-way communication and long-range transceiver modules now allow you to keep track of your ride up to a mile away or through the interference of airports and the concrete structures of local shopping malls. 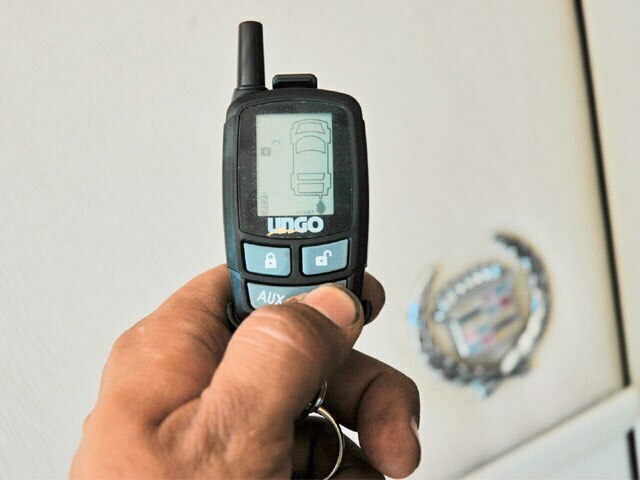 With everything connected, you will know if your trunk, hood or doors have been opened. 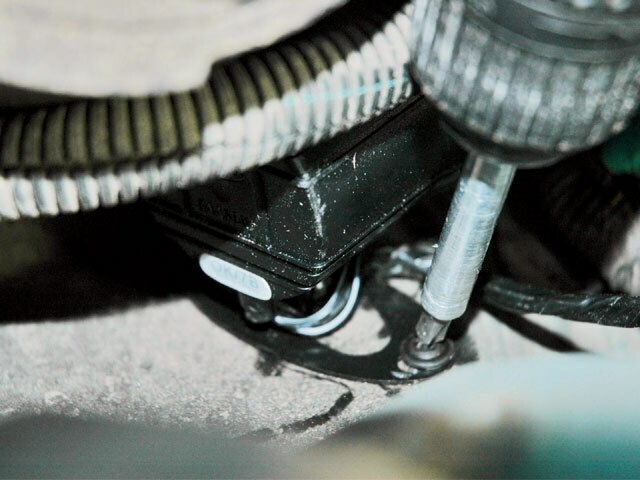 You will also be able to keep track of sensor status and, if equipped, know if your vehicle is started. Our project this month is a big-body street rider. Not scared to drive this Cadillac, our street soldier was looking for some added protection for his high-hopping chariot. For this chariot shield, we looked to Ungo ProSecurity. Their SR9000 utilizes Secure Digital Communication (SDC), which transmits signals over a wide range of digital frequencies, then recollects them at the receiver. The SDC process resists jamming and interception, thus providing long-range communication between the vehicle and hand-held transceivers. This uninterrupted long-range connection is what provides you with superior signal, two-way communication, and peace of mind. Now, while installing alarms is never easy, we’ll take you through the steps of how the pros do it. Most alarm company warranties are very specific about authorized dealer installed, but follow along as our authorized master shields this street chariot with a lowrider twist. First on the agenda is mounting the in-vehicle transceiver. This isn’t something that you can hide. The more obstructed it is, the less range you will get out of it. Also avoid all in-glass antennas and other metalized strips. Even some tints can affect the performance of the in-vehicle unit. The single most important part of installing an alarm is properly identifying the wires. Old school test lights and so called “computer safe” test lights can damage some vehicle circuits, most companies will insist that you use a digital volt meter to test all of your circuits to avoid any damage to the vehicle. Here the ignition wire is being confirmed. 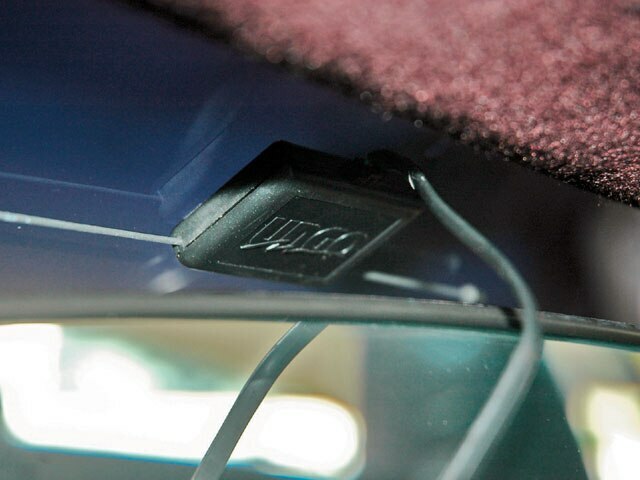 The wire should read about 0.0 volts when the key is off, about 12 volts when the key is on, and will not return to 0.0 volts when the vehicle is started. Once the wires have been confirmed, make the connections and clean up the wires. Getting wires through the firewall is a task in itself. As shown here, the grommet that runs through the firewall isn’t even visible. 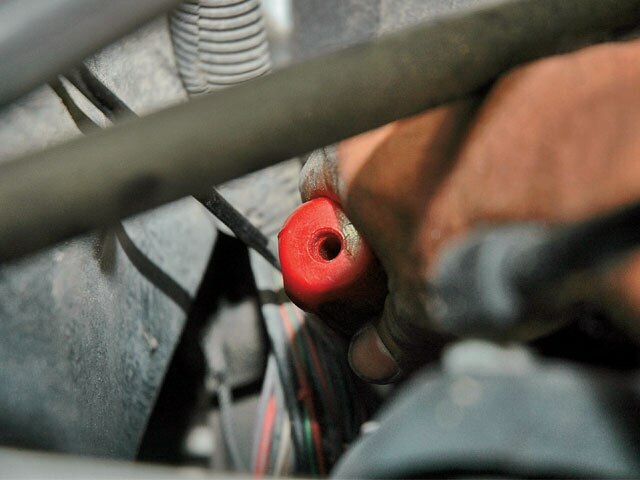 Once located, we used a wire/grommet tool to feed the wires through. On the other side of the tool you can see that accessing these wires is not an easy task. 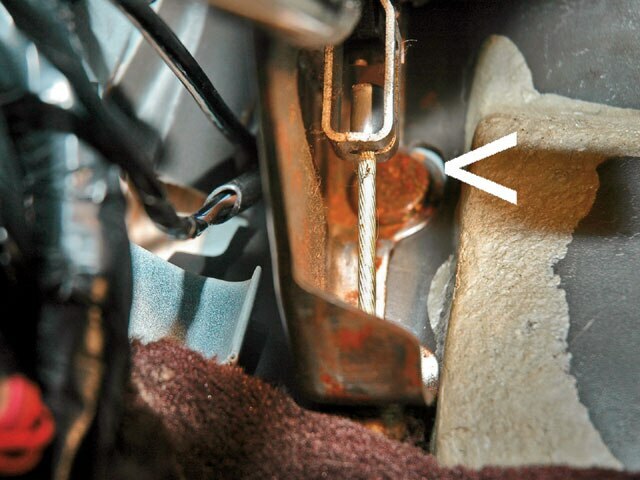 The grommet was cleanly hidden behind the parking brake lever. Be cautious not to wrap or route the wires in an obscure way. 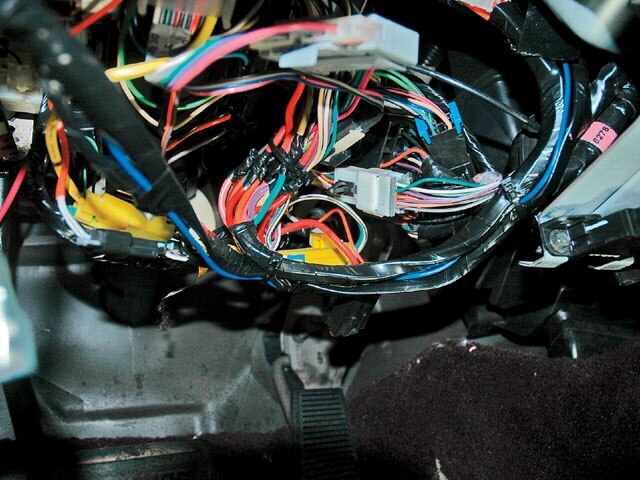 Once under the hood, route the wires to their respective areas. The siren wires were routed and, after connecting them, the siren was mounted. It’s important to face the siren in a downward position. This will ensure that water will not build up and damage the siren. A hood pin is very important when installing a remote start. 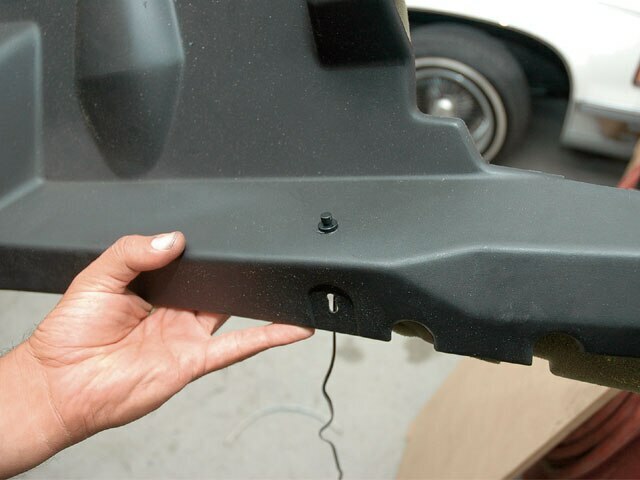 This protects anyone working under the hood as the remote start will not activate if the hood pin is open. Additionally, the hood is a trigger zone so you can keep track via two-way. 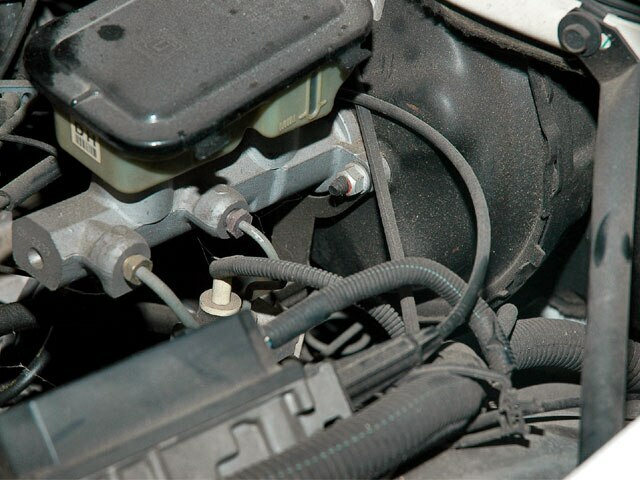 The last connection under the hood is the tachometer lead. 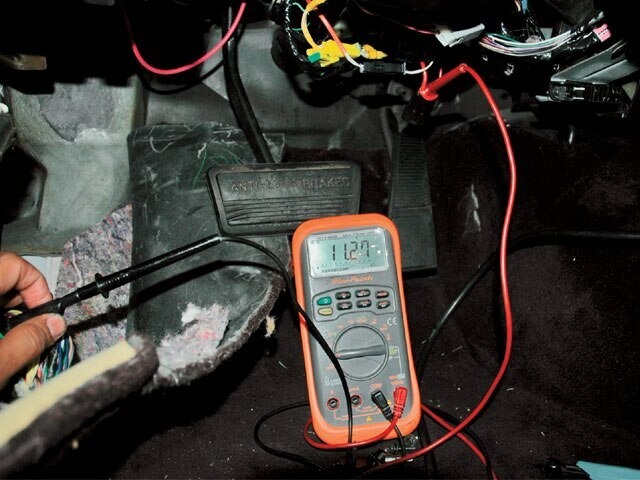 This wire tests in AC voltage and will generally read between 6 and 7 volts when the car is running. 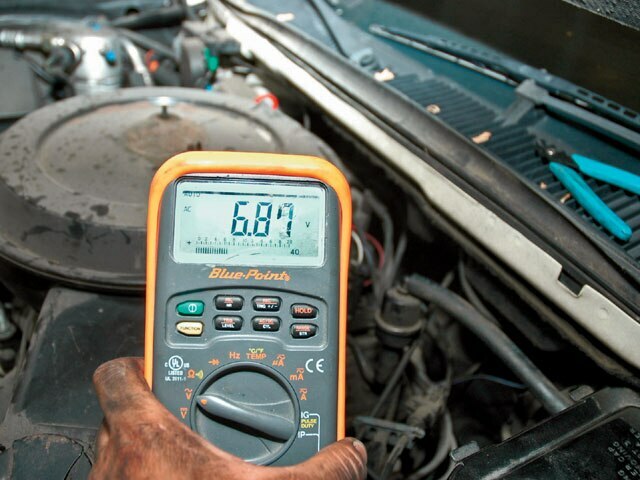 As you rev up the car, the voltage will increase and will decrease back to 6 or 7 volts AC at idle. Rounding the final lap, we found an easy to use and out of the way location for the valet switch. 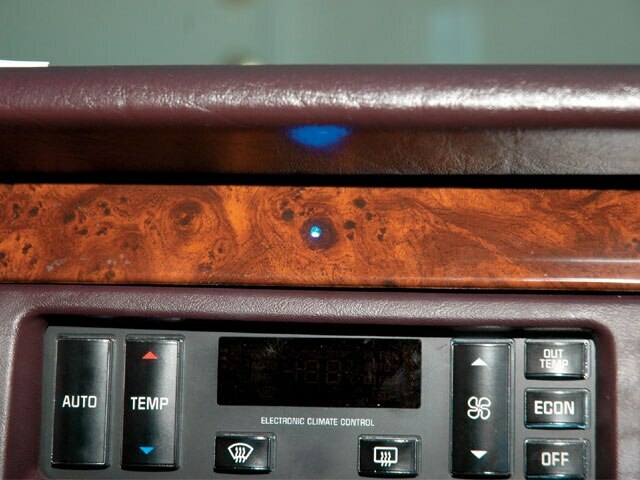 This switch is used to enter and exit valet, program features and program remotes, as well as emergency shutdown (those cases when the remote is lost or not functioning due to water damage or simply a dead battery). Here the LED has been custom flush-mounted. It was first removed from its shroud, then the bulb itself was pressure fit from behind. This hole is much smaller than the one required for the LED in the shroud and is less obscure. When not powered, you wouldn’t notice that it’s even there. Here we are all buttoned up, programmed and ready to get back on the boulevard. With the press of a button the car starts up and we’re off. Catch you on the calles.